GPS units have a hard time locating us! Please use this map for our location or get directions. Currently all of our reservations are made over the phone. Please call us at 606-668-6613. Please note that RESERVATIONS ARE REQUIRED FOR ALL OF OUR ACTIVITIES. However, not all reservations require a deposit. We recommend making reservations AS SOON AS POSSIBLE. At our facility anything less than 2 weeks is considered last-minute. That said, we do our very best to accommodate last-minute reservations and last-minute reservation changes. We take reservations up to 1 year in advance. Please note that in general, WEEKENDS tend to fill up the most quickly, meaning it’s advisable to make reservations MORE THAN 2 weeks in advance when possible. If you decide to cancel, simply let us know. If your reservation had a deposit, we can apply your deposit to a rescheduled date up to a year from the original date reserved. If you decide to cancel and do NOT inform Southeast of your cancellation (i.e. no-show), your deposit will be forfeited and will NOT be transferable to a rescheduled date. We understand plans change, and will work with you to update your reservation as things come up. However, you MUST inform Southeast of ANY changes to your plans whether that is a cancellation or a change in date, arrival time, number of participants, medical conditions, etc. In the rare event that Southeast needs to cancel, we reserve the right to decide whether a refund or credit at a pro-rated amount will be issued. We are not responsible for cancellation fees from a change or cancellation in your flight plans, lodging, or any other accommodations. We are open rain or shine! Again, you are welcome to cancel due to weather or any other reason; see above for our cancellation policies. We must have properly completed waivers. You may print our waiver found here, fill it out correctly, and then bring it with you on your arrival date. Please note that participants under the age of 18 must have a waiver and it MUST be signed by the participant and the parent or legal guardian. 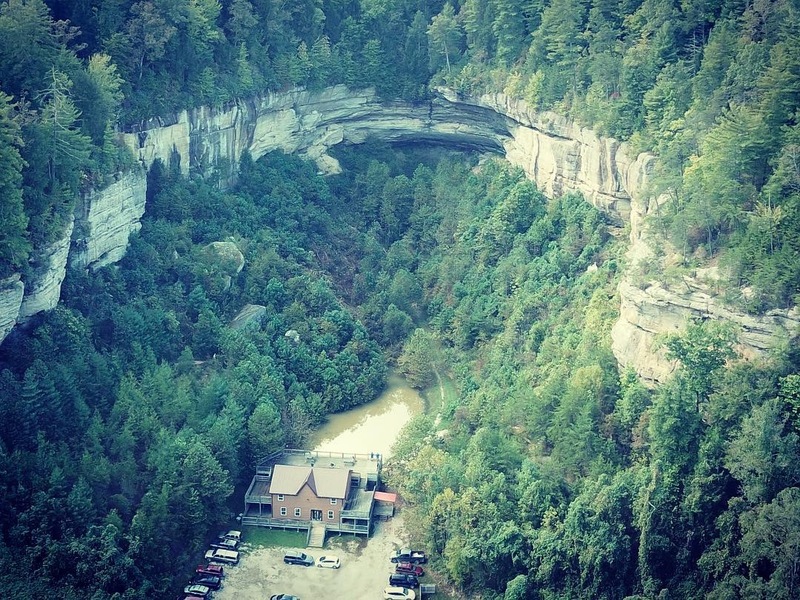 Location: All trips meet at our main facility in the Red River Gorge*: 1617 N KY 11 Campton, KY 41301. The map above shows our exact location. The Via Ferrata climbing course is located directly behind our office building, which means you will be no further than a 5-minute walk from your vehicle. If you are participating in our guided activities, you will also meet at our main facility, however it is at your instructor’s discretion as to whether you will stay on site or travel to another location in the Red River Gorge region. If you travel to a different location, you will be driving your own vehicle, following the instructor in their vehicle. * If you booked a trip that is not in the RRG, you will not be meeting at our main facility. Follow the instructions provided to you. You must check in at our facility 10 minutes prior to your reserved time. Our facility is located in the Eastern Standard Time zone (EST). Remaining Balance Due & Pricing: The day of your reservation, the remaining balance will be due based on the actual number of participants. Keep in mind that a change in your numbers will change the pricing per person, and that the deposit is still non-refundable. We accept cash and all major credit/debit cards. We do NOT accept check payments. Southeast Mountain Guides provides all necessary climbing and/or rappelling equipment, but you are welcome to bring your own. Please note that your equipment must be inspected & approved by a Southeast Crew Member. Food/Snacks/Water is NOT provided. Please bring a small day pack containing whatever you may need for the duration of your trip. You will need clothing that is appropriate for the weather and comfortable to climb in. You will need closed toed/closed heeled shoes, such as tennis shoes or hiking boots. We also recommend bringing sunscreen and bug spray. Via Ferrata: All participants MUST be 10 years of age or older. An adult (18 years of age or older) must be climbing with youth ages 10-14. An adult can accompany up to 5 youth at a time. Guided Activities: There are no age restrictions for our guided activities, however Southeast highly recommends that participants be 6 years of age or older. An adult is required to be present for guided trip if participants are under 15 years of age. There are no weight restrictions, but you must be able to properly fit in our harnesses ranging up to size 54” waist. There are also no height restrictions. During the reservation process, Southeast Mountain Guides must be informed of any allergies, medical conditions, or any pertinent past/present information. You will also need to update Southeast of any changes in medical conditions and inform your instructor(s) upon arrival. If there are any medical conditions please do not forget to bring medications (including EpiPens/inhalers, etc.). Our activities are NOT recommended for anyone that has a serious medical condition. We are a dog friendly facility, however we highly encourage you to leave your pets at home! Pets at our facility must be leashed AT ALL TIMES and must remain with you at all times. This means you CANNOT tie your pet to ANYTHING, ANYWHERE on our property and leave them unattended. If you are specifically on a guided trip YOU MUST inform Southeast that you are bringing a pet. Some locations through the Red River Gorge region do not allow pets. Our instructors strive to provide the best service and experience for you. This takes time, dedication, and training towards their craft. Please consider providing gratuity for your instructor. Management recommends 10-20%. Most of our trips are in our home base of the Red River Gorge. However, we also have the capability to guide in the following other areas: Jackson Falls, IL; Breaks Interstate Park, KY/VA; Seneca Rocks, WV. We are here to help, please contact us if you have any questions. You may also click below for more information on where and how we climb! Find out what’s happening currently on our blog!